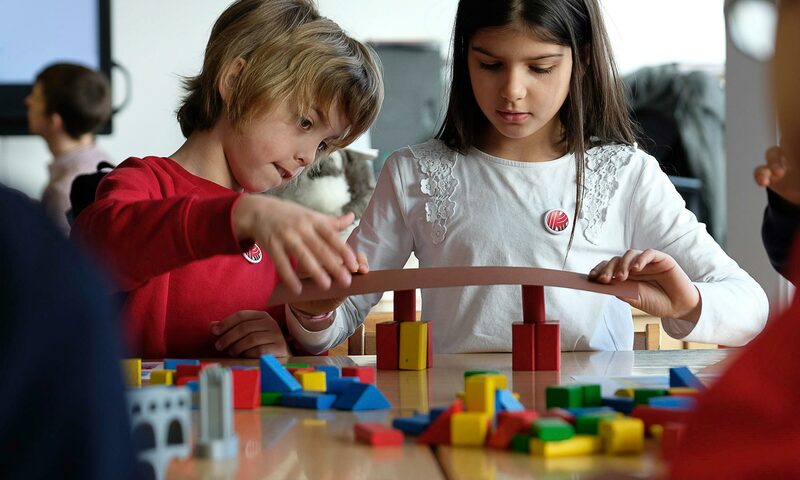 ﻿ In primary at Kämmer International Bilingual School, we foster a creative learning environment with a unique approach to learning. 80% of lessons are conducted entirely in English by our highly skilled native-English-speaking teachers. Our classrooms are bursting with inspirational displays and each features an interactive smart or sharp board for modern teaching and engaging lessons. 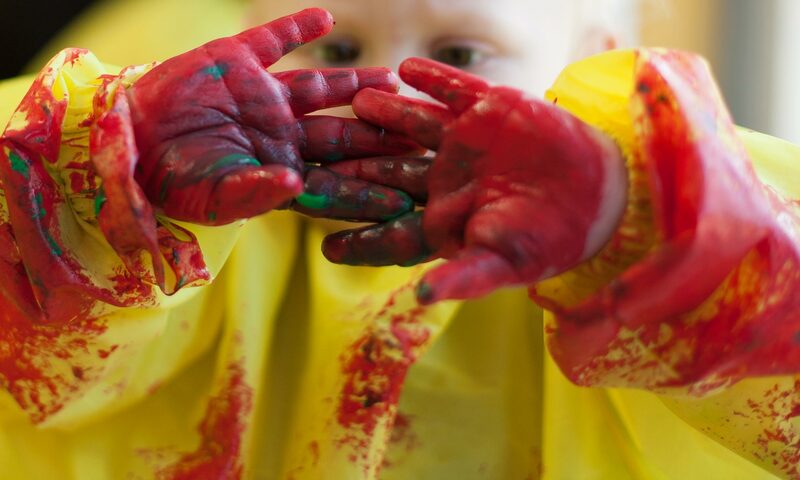 We want all children in our Primary School to be able to develop their own ideas and to fulfil them in real life. Purposefulness, a sense of responsibility and patience are as important for this as curiosity, courage and self-confidence. At KIBS we believe in educating the whole child within a fully bilingual environment. Our methodology is focussed on Teaching & Learning, building children’s self-confidence and their independent learning skills. Our aim is to support children’s development socially and educationally, to enable them to reach their full potential, and to help them become responsible, global citizens. the Lower Saxonion Curriculum and the Lower-Saxonion Education Act. an internationally inspired curriculum based on the US and UK curriculum objectives and goals. Our bilingual programme is based on language immersion programmes in Canada and America. Our school curricula are flexible and we are constantly striving to improve and increase the scope and coverage of what we offer our students. Children who successfully complete our primary school can attend our secondary school and achieve an Intermediate School or High School diploma. With a High School Diploma and our additional Cambridge Language Qualifications students are able to study at universities worldwide. In our secondary school, all classes continue to be taught in both English and German. Technological language is generally taught in both languages, enabling complete bilingual functionality. Differentiation is a way of individualising each child’s learning so that it meets the needs of each child and enables them to develop to their full potential. We believe that every child has their own strengths; these can be developed to enable each child to achieve their personal best. In doing so, a child gains in self-confidence and learning becomes a positive and challenging experience. 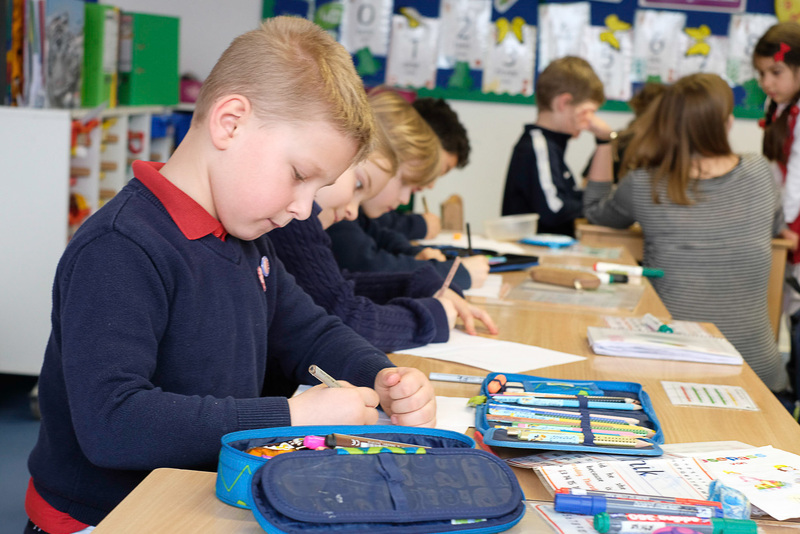 Assessment for Learning is an assessment methodology which helps a child to identify where they need to improve, and to understand why and how to achieve that improvement. Assessment for Learning and Differentiation are powerful tools that substantially enhance a child’s learning ability. The educational level of each child will be determined by an entrance assessment before a child starts at KIBS. Where an Individual Education Plan is deemed necessary, this will be developed by the class teacher in conjunction with other specialists. Our teaching and learning is supported by the use of interactive White Boards which are installed in every class room. These enable teachers to have direct access to web resources and provide children with infinitely variable possibilities. We also have a mobile laptop facility which connects to the wireless network and allows each child to work from their ‘own’ laptop station. At KIBS approximately 70% of all teaching is conducted in English. Literacy is taught in both languages from the age of 5 years old. This level of language immersion enables children to attain a functional level of fluency in the target language quickly, while at the same time continuing age appropriate development of their native tongue. Our bilingual concept is not only about the learning of English, but also about understanding different cultures and contexts. Learning a new language brings with it all the cultural nuances connected with the customs and traditions associated with the new language. It is an essential part of our learning and teaching that internationalism is embedded right from the Kindergarten and flows through all three schools as our central pillar. When a child joins our school after Grade 1 with no English, we provide specific immersion classes for them, in order that they can quickly ‘catch-up’ with the language level of their peers. The KIBS team consists of well qualified, highly motivated, experienced and diverse teachers. Teachers are both German and internationally trained and come from many different countries. Many of our staff speak three or four languages and have lived in several countries. All speak English and many also speak German. Our facility comprises class teachers and specialist teachers. Each class has its own class teacher. Class teachers are also specialist teachers in colleagues’ classes. Additionally we have specialist teachers for German, English immersion, special educational needs, sports, music, art and religion. We also have our own librarian as our library serves all three schools. KIBS is a full-day primary school. The longer school day allows time for the teaching of two languages bilingually and for the teaching of the international component of our curriculum. We also consider the shared lunch time an essential part of our social learning programme and the break times enable children to build friendships across the school community, and enjoy ‘off-task’ times together. Our Early Morning Care opens at 7.30am and children can bring their breakfast. We also operate an After school Programme from 15.30 to 18.00. There is a range of clubs on offer, as well as social and play space. KIBS offers a full day holiday programme which runs during the October break, and for part of the Christmas, Easter and summer holidays. Children from all three schools can attend. Different themed activities are provided, as well as local trips within Hannover.